Contest 1: MillersTime contestants say it will be the Dodgers vs either the Red Sox or Yankees in the 2019 World Series, and they believe the American League team will win it in six games. Contest 3: No doubt here. Overwhelming choice is the American League to win the All Star game. Scherzer (or maybe Sale) will be the first pitcher to win 12 games. Harper, Stanton, and Judge all tied for first to hit 25 home runs. Other Contest Predictions: Too complicated to post here. But thanks to all who participated. ***Every time I attend a baseball game, I’m looking for something I never saw before. A few days ago this: Tie game between the Phillies and the Nats in DC. Bottom of the 9th. First man up for the Nats gets a single. Then the the Phillies’ pitcher walks the next two batters. 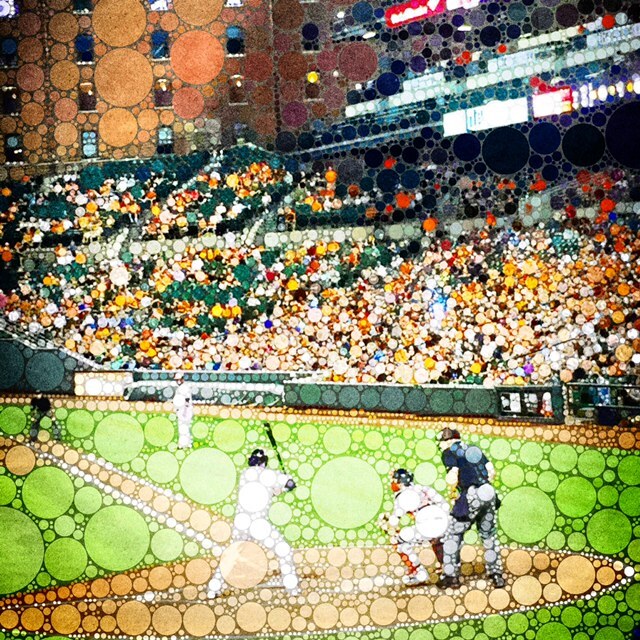 Bases loaded. And he does it again. A third walk. Walking in the winning run for the Nats. What do we call that? A Three Walk Walk-Off? A Triple Walk Walk-Off? A Walk-Off Walk? Bad pitching? Terrible managing? Let me know what you would call it. And I suppose you all know the actual definition of ‘Walk-Off’ win. It’s not the winning team walking off. It’s about the losing team having to ‘walk off’ the field after they’ve ‘blown’ the game. ***Not sure if it’s my getting older (which is certainly happening), but I’ve already attended four games at Nats’ Park, and I’m sure they’ve cranked up the loud speakers, making it difficult to talk and hear each other between innings. one of the enjoyable aspects of seeing a game with a son, daughter, wife, father, grandfather, grandchild and/or friends. Is this increase in noise level happening elsewhere too? Or am I just getting more like my parents did at a similar stage in their lives? 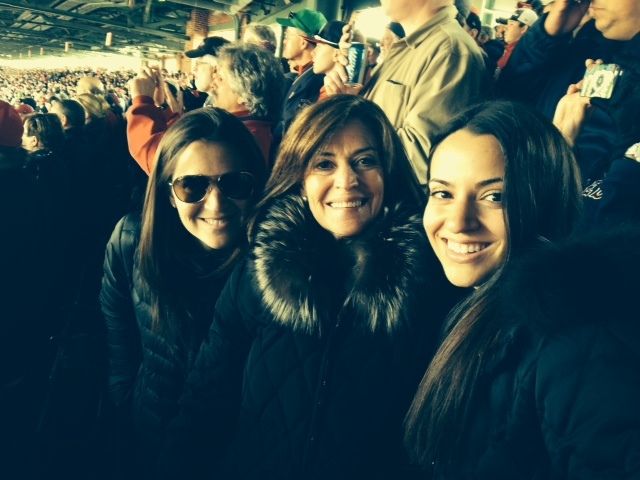 ***Finally, heading to Boston with the three females in my life – wife Ellen, and daughters Annie and Elizabeth – to ‘treat’ them to Opening Day, April 9 in Fenway where the World Series flag will be raised, a huge banner will be dropped across the Green Monster, and the WS rings will be given out. I took them in 2005 (see photo above) when the Yankees had to sit in the Visitors’ dugout and watch the ceremonies after the best ever WS win in my lifetime. Now, with this fourth WS victory in this early part of the 21st century — eat your hearts out Yankee fans — my only regret is that my daughters and grand children will never truly understand what I had to go through for most of my baseball life – though I think Elizabeth kind of understands. If you’ve never read this, don’t miss: The E-Mail on the Kitchen Table, posted 12.19.08 on MillersTime but written just after the Sox finally won it all in 2004. A must read. ***You can look forward to an upcoming post, Opening Day Thru Ellen’s Lens, with commentary attached.